Shih has toured internationally both as recitalist and soloist with many leading orchestras, including the Royal Philharmonic in England, the Hallé in England, the Orchestra de Bretagne in France, the Toronto Symphony in Canada, the Mexico National Symphony, the Singapore Symphony and the Polish National Radio Orchestra in Poland. She also has performed as a soloist in some of the world’s greatest venues, including Carnegie Hall in New York, Roy Thompson Hall in Toronto, Wigmore Hall in London, Benaroya Hall in Seattle and the Liszt Akademy Hall in Budapest. Born in Canada, Shih made her public debut performing the Bach Violin Concerto at age 4. Throughout her young career, she won numerous national and international awards and prizes, including three consecutive highest honors at the Canadian Music Competition, an achievement that never has been duplicated. 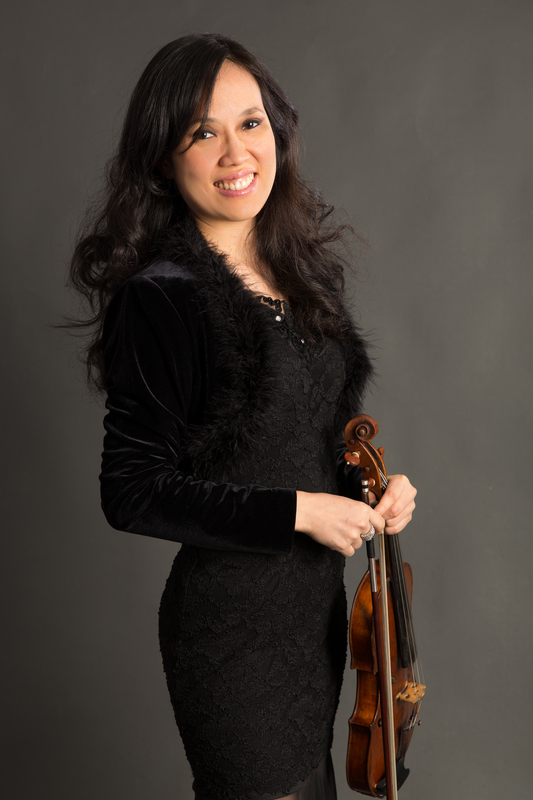 As a current soloist and first violinist of the acclaimed Borealis String Quartet, Shih’s virtuosity and unrivaled artistry have made her one the most unique and outstanding violinists working internationally today. As the youngest finalist at age 15, Shih received a special prize at the international Henryk Wieniawski Violin Competition in Poland and was a laureate at the International Fritz Kreisler Competition in Vienna. She also was awarded the International Sommerakademie Mozarteum prize in Salzburg and was honored with the prestigious Sylva Gelber Foundation Award for the most outstanding Canadian musician under age 30. Shih studied at Indiana University under legendary Josef Gingold, who is considered one of the most influential violinists of the 20th century. He also was the recipient of Baylor University’s Robert Foster Cherry Award for Great Teachers in 1993. Shih also has studied with Rostislav Dubinsky, Sándor Végh, Denes Zsigmondy, Lorand Fenyves and Lise Elson. String study in the Baylor School of Music is focused on the development of skills in solo performance, orchestral studies and chamber music. A full-time resident faculty is committed to mentoring students through intensive applied study to help each individual gain the technical, musical and interpretive skills to become a successful professional upon graduation. For more about the instrumental division or the Baylor School of Music, visit www.baylor.edu/music. The Baylor University School of Music provides transformational experiences that prepare students for careers in music. Students thrive in a Christian environment characterized by a nurturing resident faculty, an unwavering pursuit of musical excellence, a global perspective, dedication to service and devotion to faith. They investigate the rich musical and cultural heritage of the past, develop superior musical skills and knowledge in the present, and explore and create new modes of musical expression for the future. While preparing for future leadership roles, students join with School of Music faculty in enhancing the quality of community life, enriching the larger culture and making Baylor a place in which heart, mind and soul coalesce. Baylor’s School of Music is a member of the National Association of Schools of Music and the Texas Association of Music Schools. Degree programs include bachelor’s and master’s degrees in performance, music education and academic majors, as well as doctoral degrees in church music. Degrees leading to the Bachelor of Music Education conform to certification requirements of the Texas Education Agency. Visit www.baylor.edu/music to learn more.